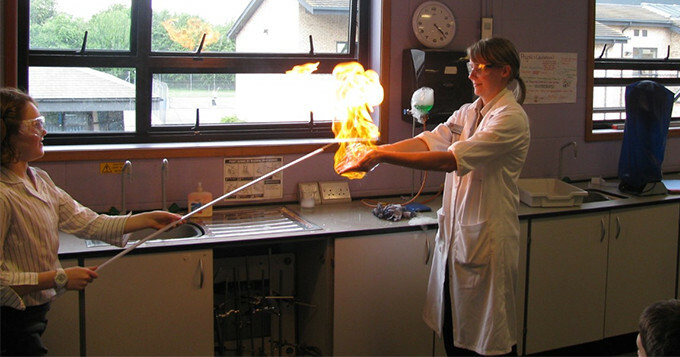 I currently work in a secondary school in Nottingham as the senior science technician. Overall I have been doing the job for 6 years; 3 of these at a senior level. I mainly focus on the chemistry side of my work as I love working with all the different chemicals we have. Through a range of CPD I have got to where I am today. I started the job not knowing the difference between a boiling tube and test tube, but I have now reached a senior level in my career and I am so happy with what I do. As part of this I completed the RSciTech process, and to stay as an RSciTech you have to keep up to date with your CPD. There are so many types of CPD you can do in your job or spare time. It all depends on you. Here are examples of how I am continuing with my CPD. There are many qualifications you can do for this including LATA NVQ (Laboratory and Associated Technical Activities) – this was a great starting point for me and you can choose either the education route or industry. There are different levels so where you start will depend on your experience. This all about your job, so it is based on the role you do and some observations of your working. I did mine with an Awarding Organisation called PAA\VQ-SET. This is a website that offers online courses which range on length and difficulty. They are free to take part in and you can do them in your spare time. You can even do the end of topic test and get a statement of participation or certificate (for these you will have to pay). Visit FutureLearn. My most recent CPD has been a course from the STEM Learning Centre in York. I have been doing this for a year and have just finished the last two assignments. Again this was done during my own time and 3 residential periods. It has been a great experience. They also do free online courses which you all may find useful. Finally I run a technician network in the Nottingham/Lincolnshire area. For this I try and have at least one guest speaker doing a form of CPD. We are very lucky that Select education (SLS) let us use their base for free and we hold our meetings here. This is also a great way to meet other people in the same job role as you. Setting up a network is easy and once you have done this, word starts to spread. We have over 42 schools and roughly 100 technicians in the contact chain now. We also hand out certificates at the end of the day so people have proof of the training they have had. The sessions are free and we are very grateful to suppliers who give up their time and space to help us improve our knowledge and skills. ScienceTechnicians.org may help you find a local network.